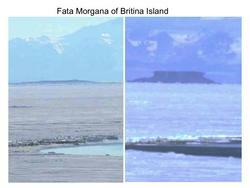 Here in McMurdo we often see mirages when looking across McMurdo Sound to the Royal Society range or Mount Discovery. These are specifically a form of superior mirage where alternating cold layers and warm layers of air bend the light and can form fantastical images, often appearing like cliffs or upside down mountains. 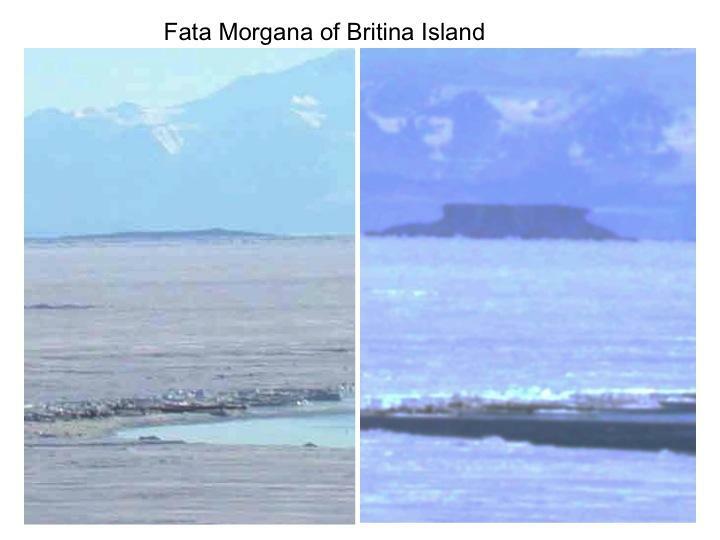 This type of mirage is called a Fata Morgana after Morgan le Fay, who was a fairy enchantress skilled in the art of changing shape in the tales of King Arthur. How ever they are formed they are enjoyable to watch.